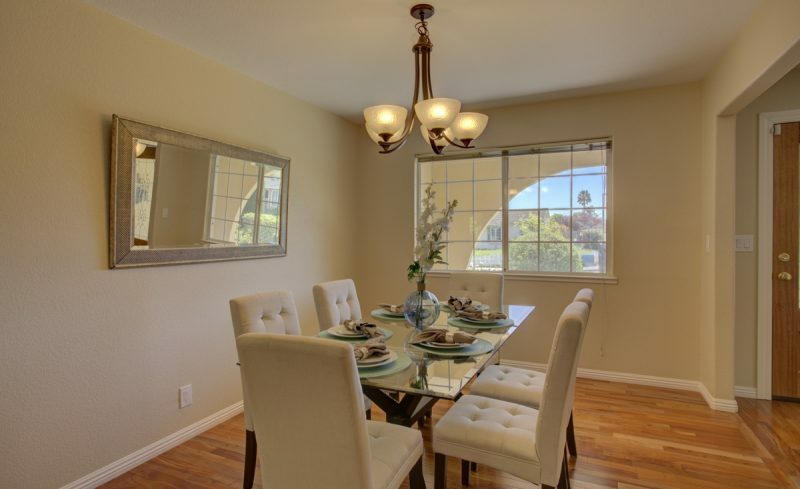 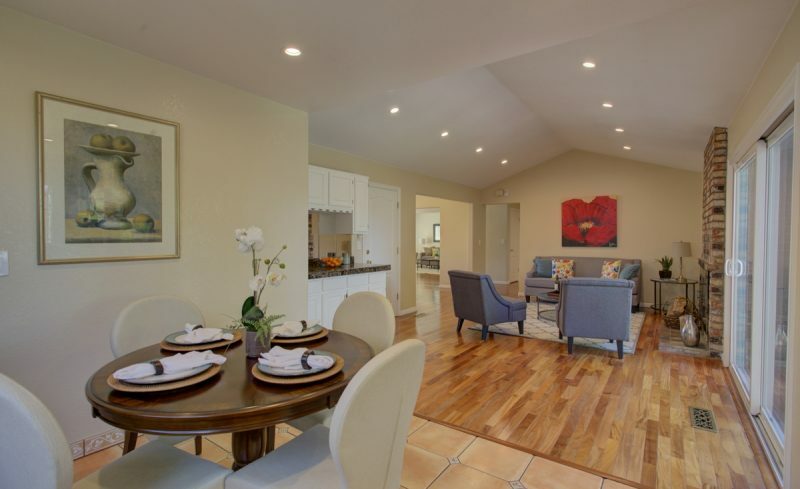 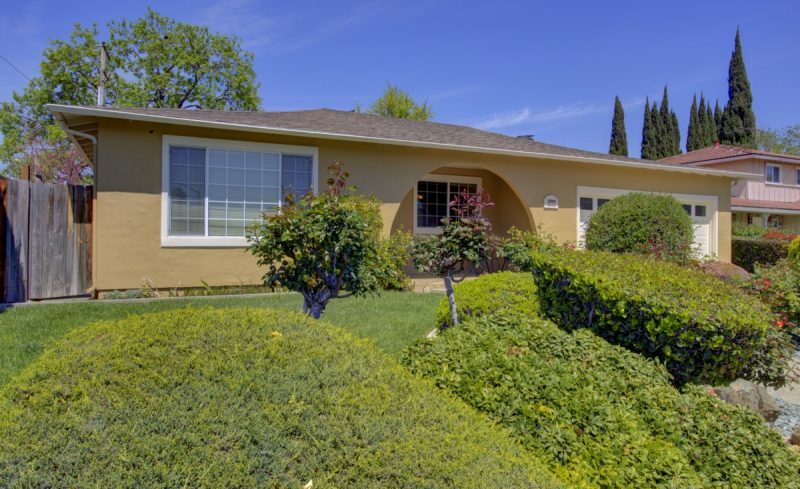 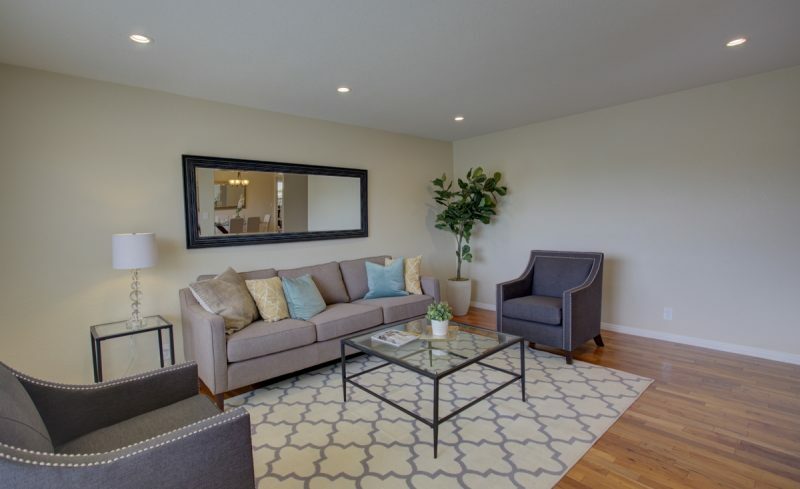 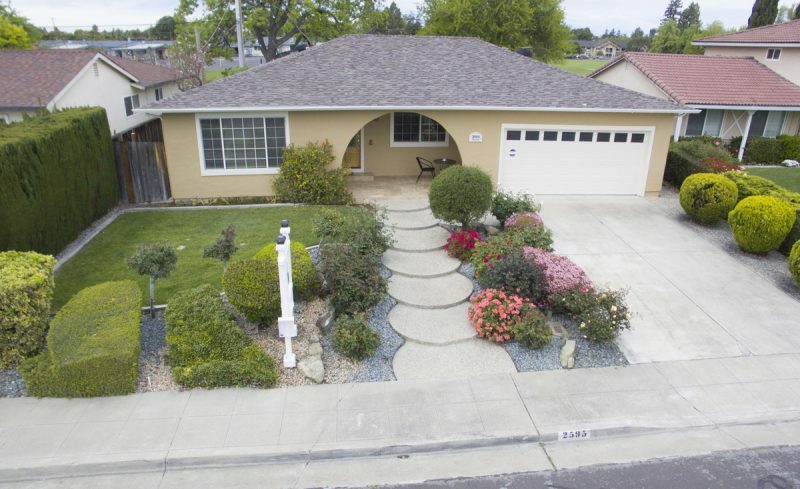 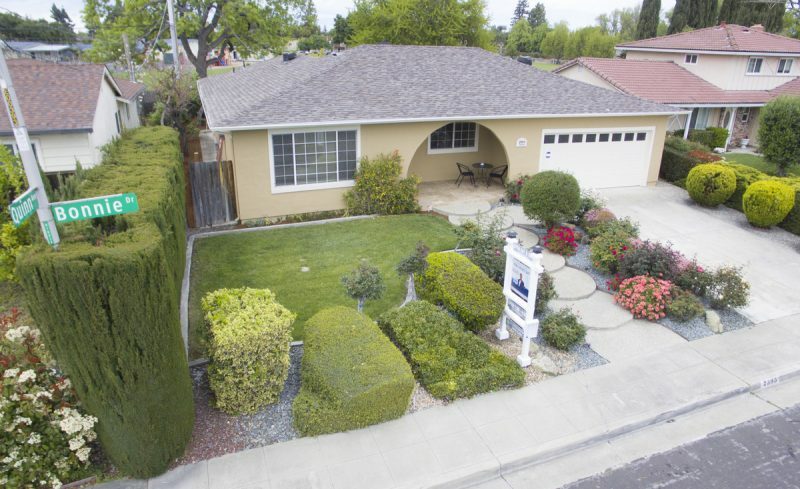 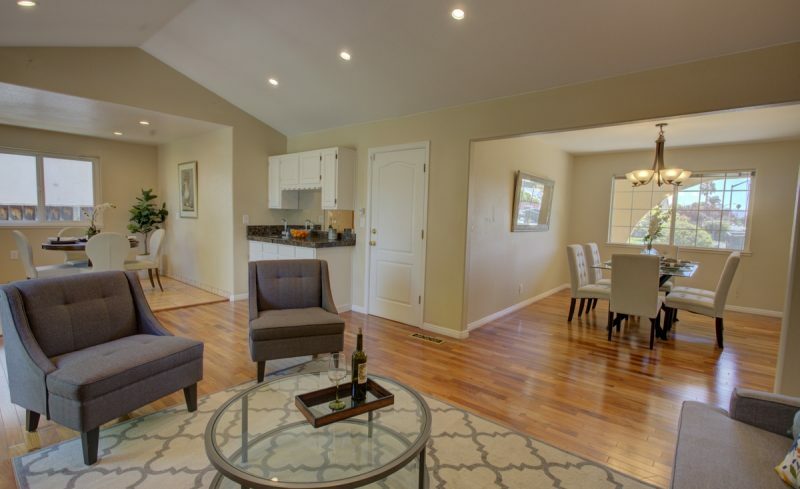 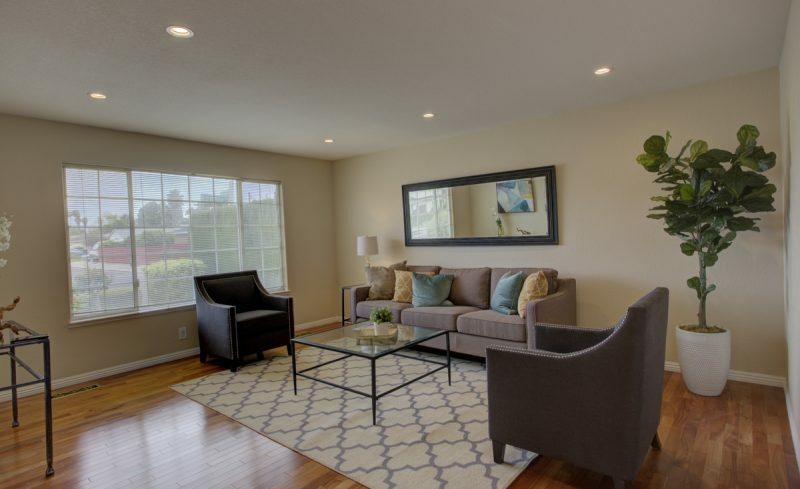 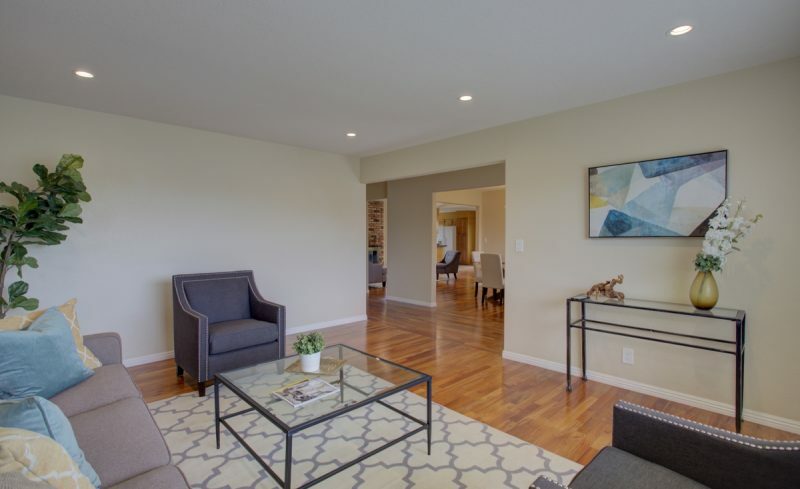 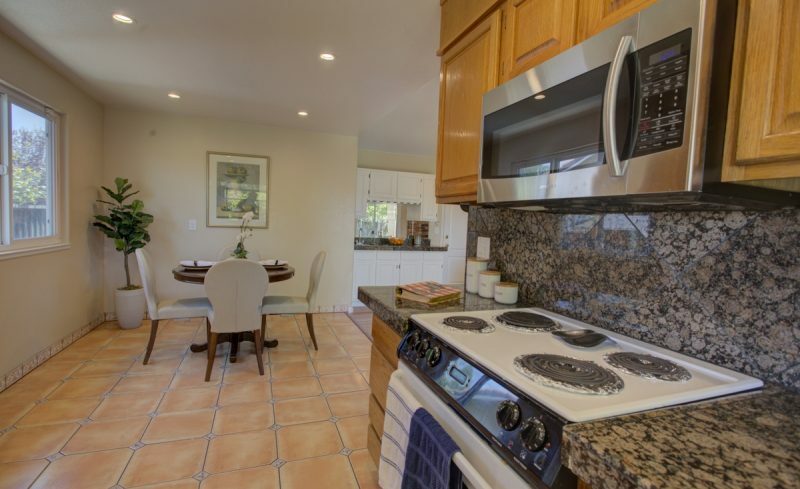 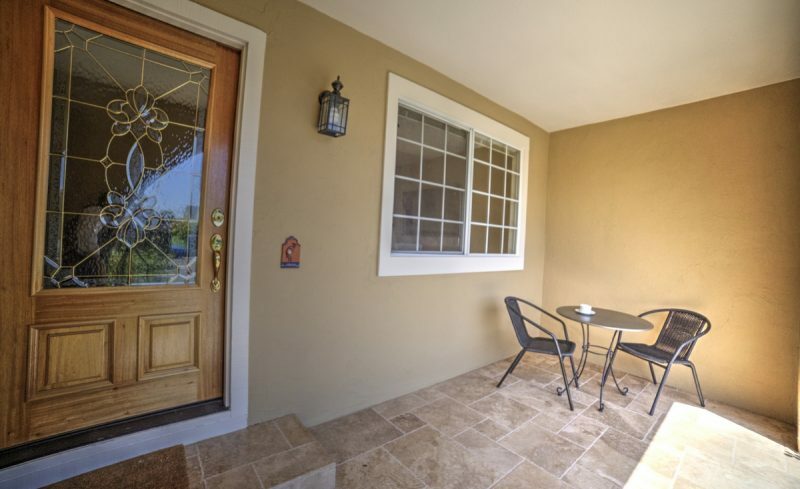 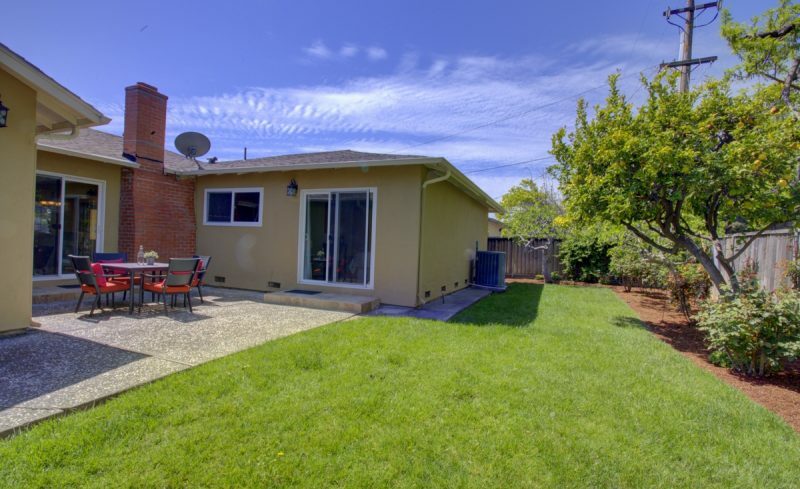 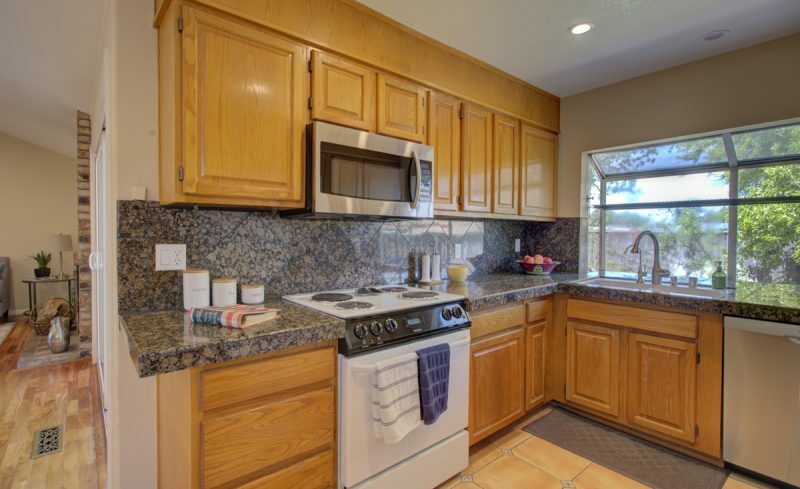 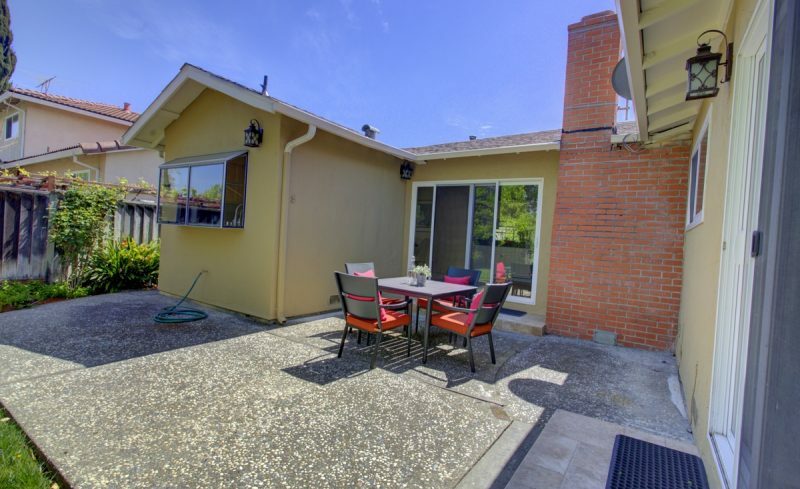 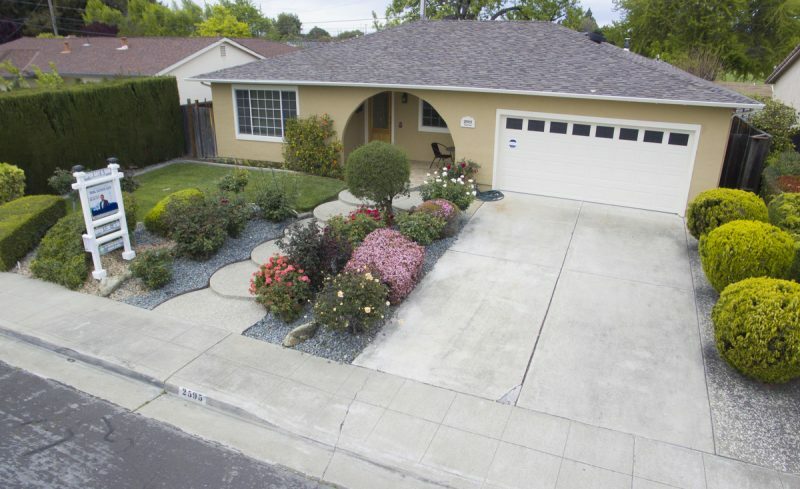 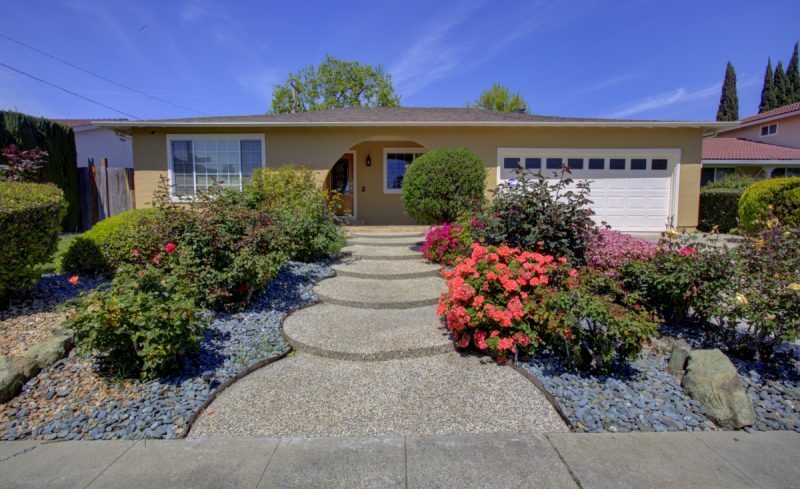 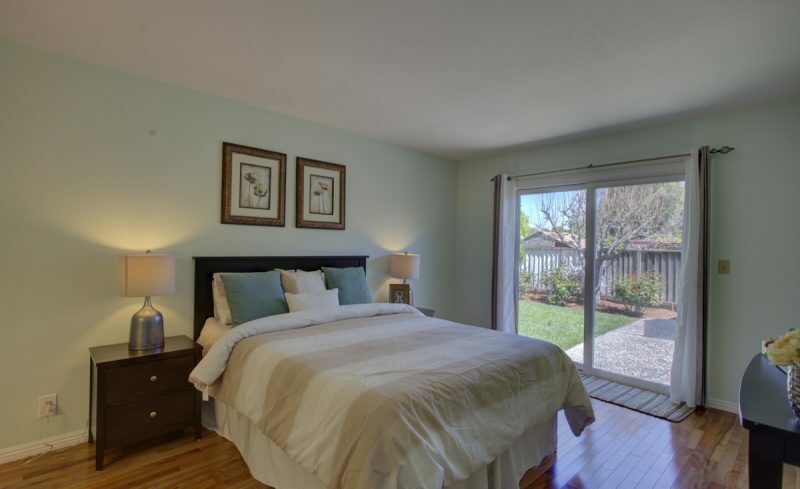 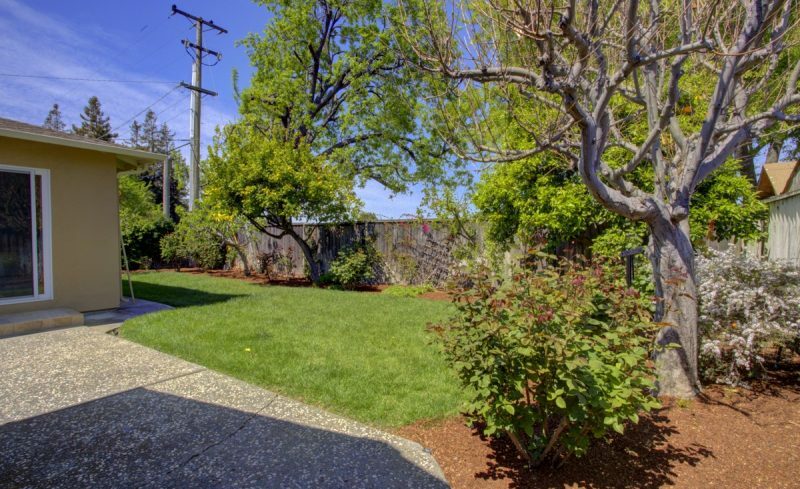 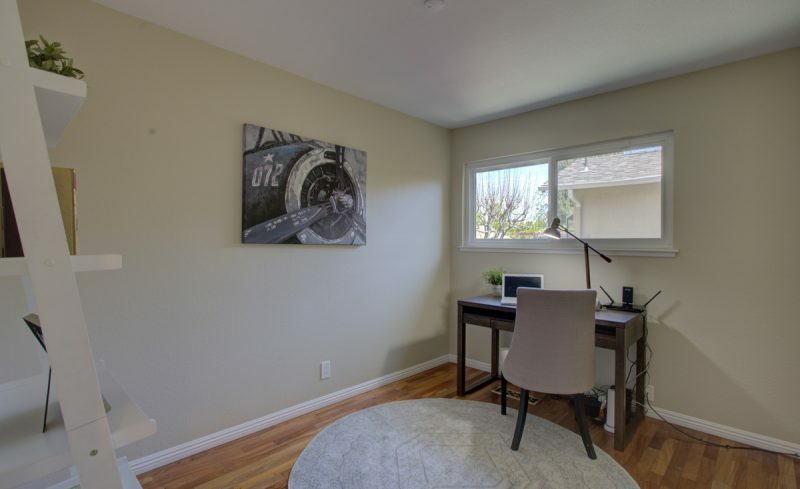 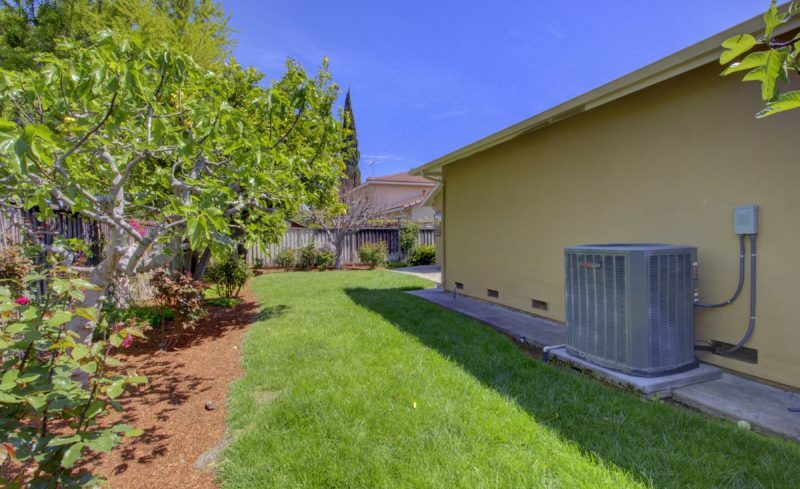 Spacious Ditz Crane home in Santa Clara’s coveted Mission Glen neighborhood. 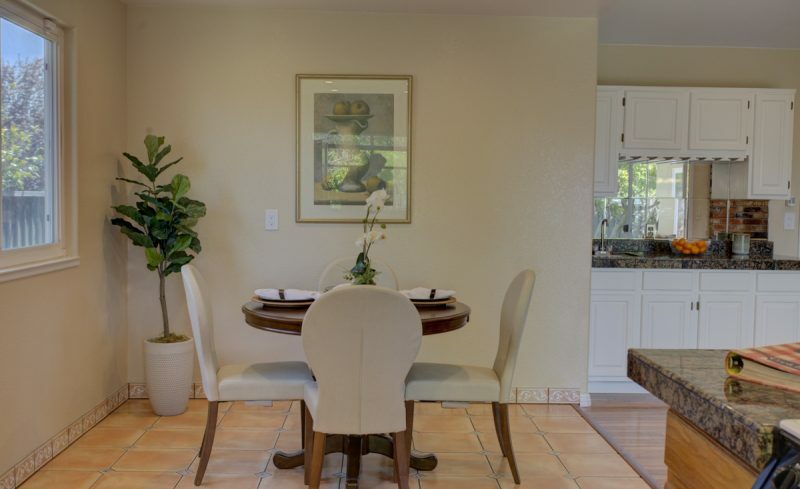 This beautiful single level home is wonderfully laid out & features an open floor plan with centralized formal entry, spacious living room, formal dining room, separate family room & large kitchen. 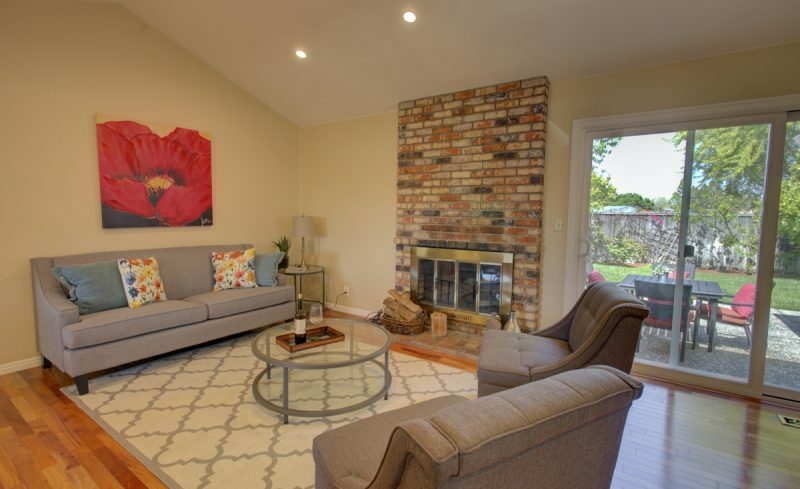 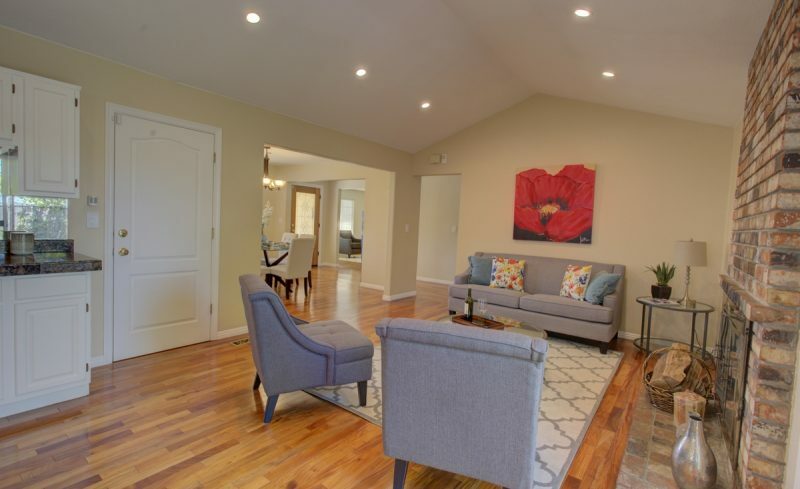 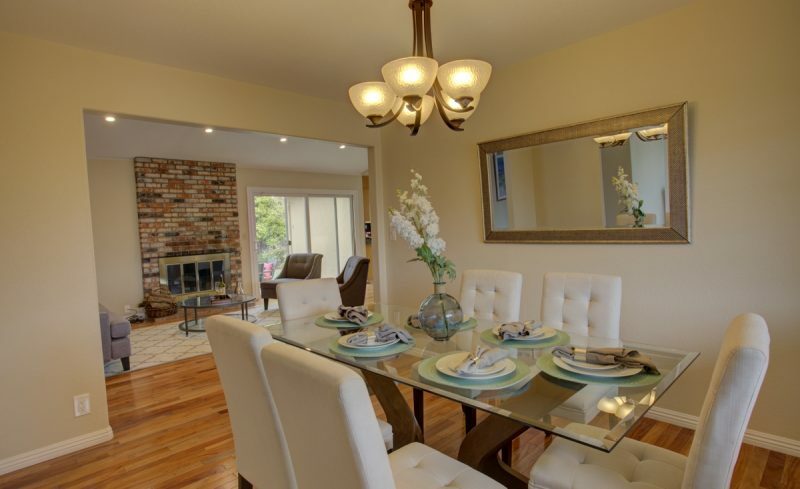 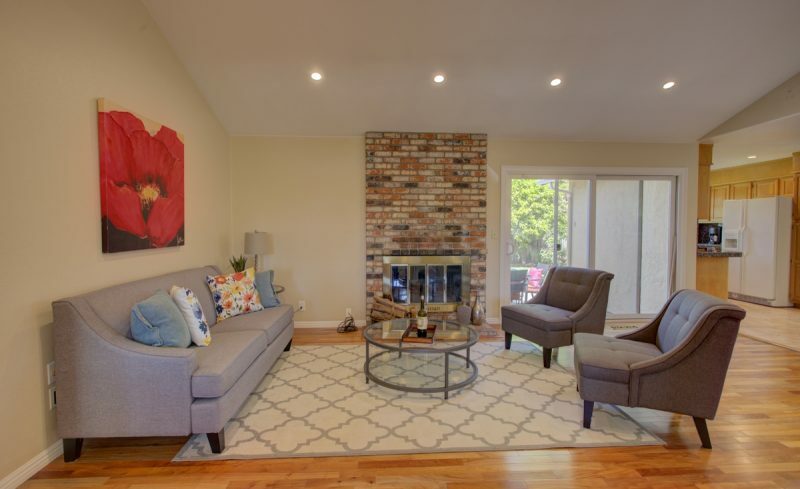 Family room features a wood burning fireplace, vaulted ceilings, and recessed LED lighting. 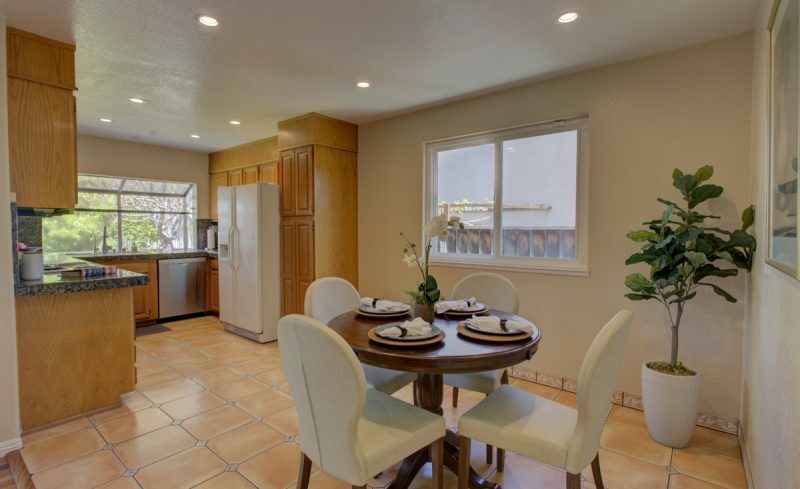 U-shaped eat-in kitchen with lots of counter space, features new dishwasher, over the range microwave, tiled floors, granite tiled countertops, recessed lighting, & garden window to backyard. 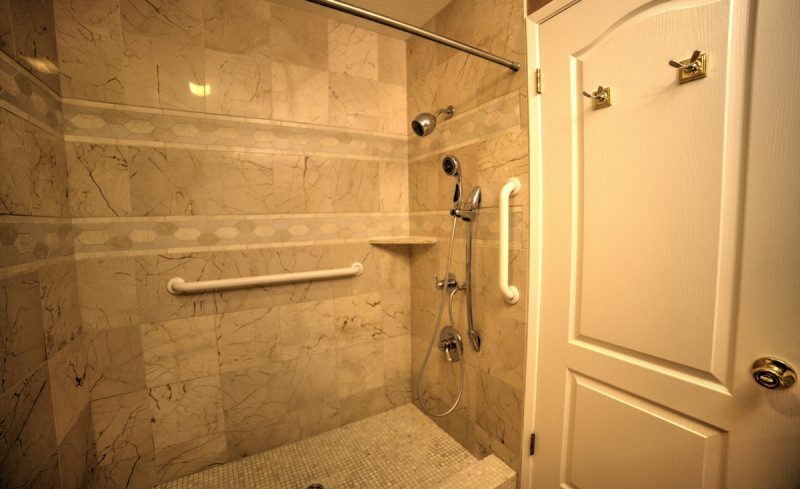 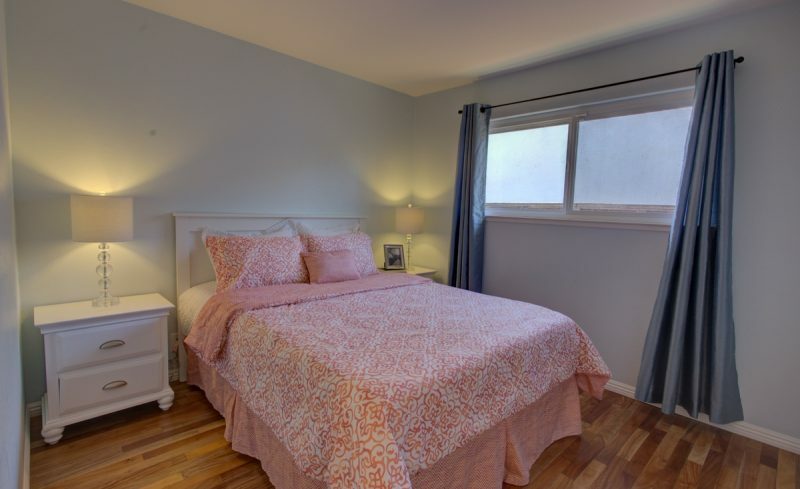 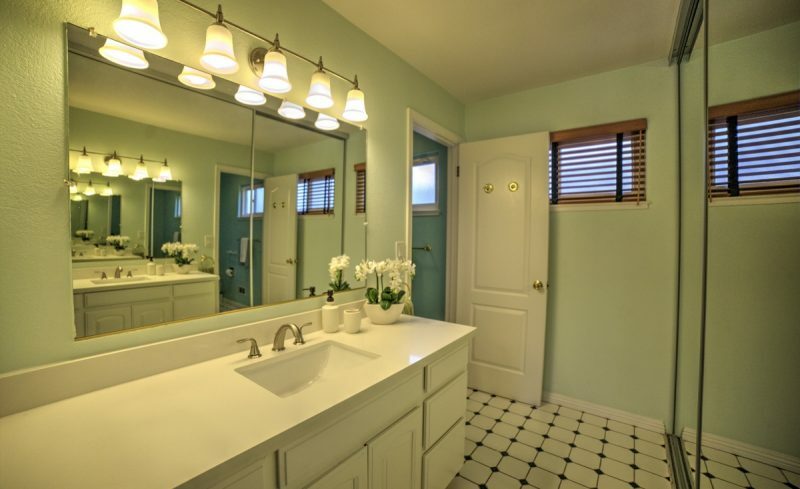 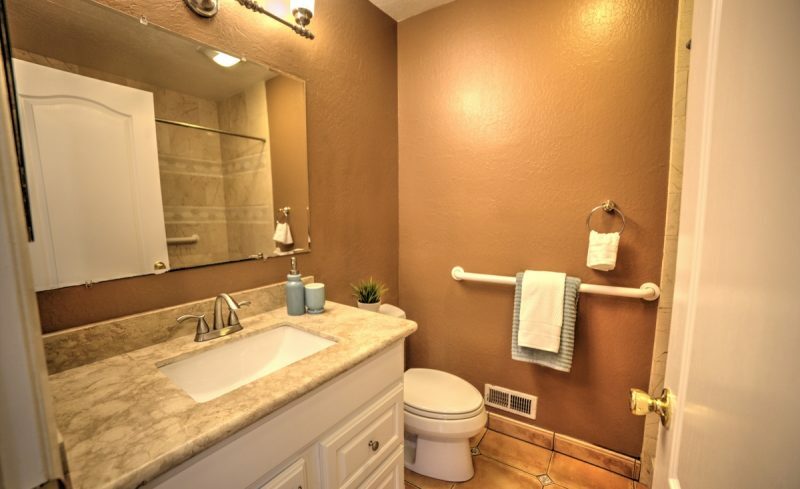 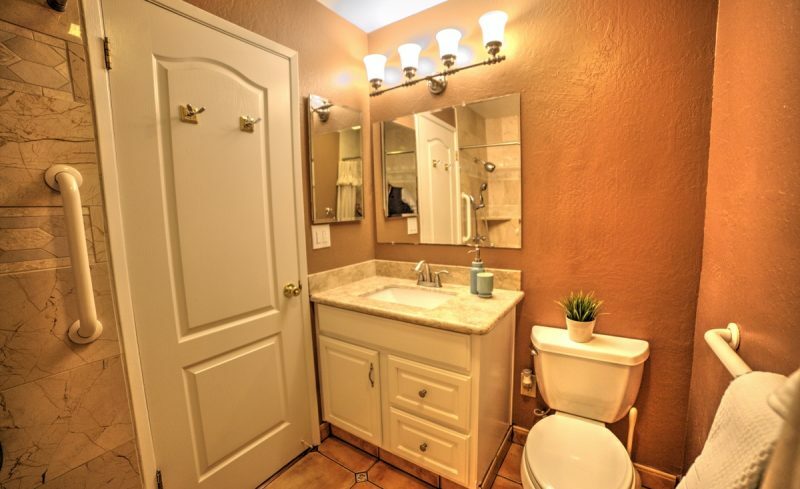 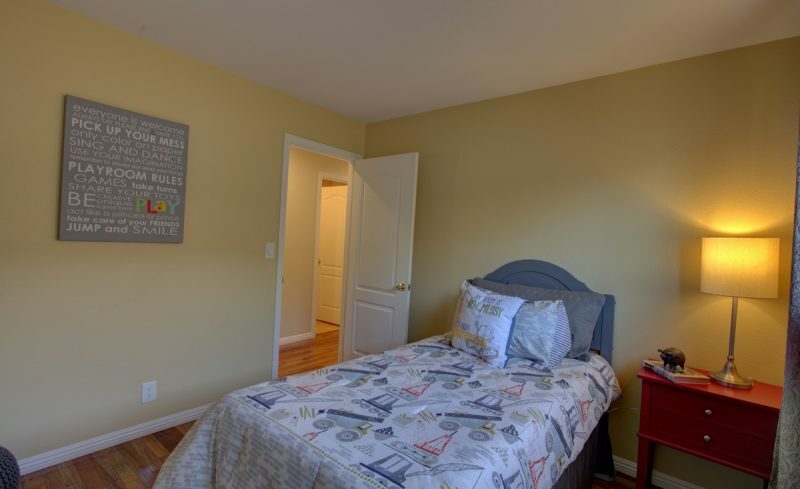 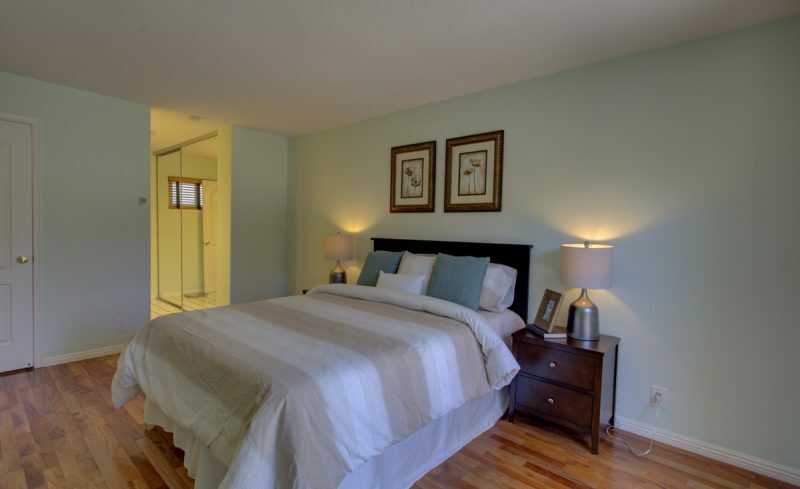 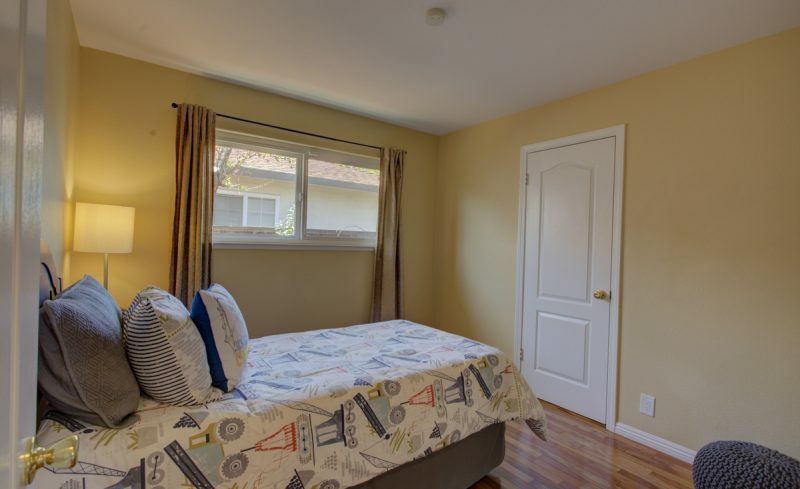 The large master bedroom features dual closets, sliding glass door leading to back patio, ensuite bath with mirrored closet doors, large vanity with quartz top, & stall shower. 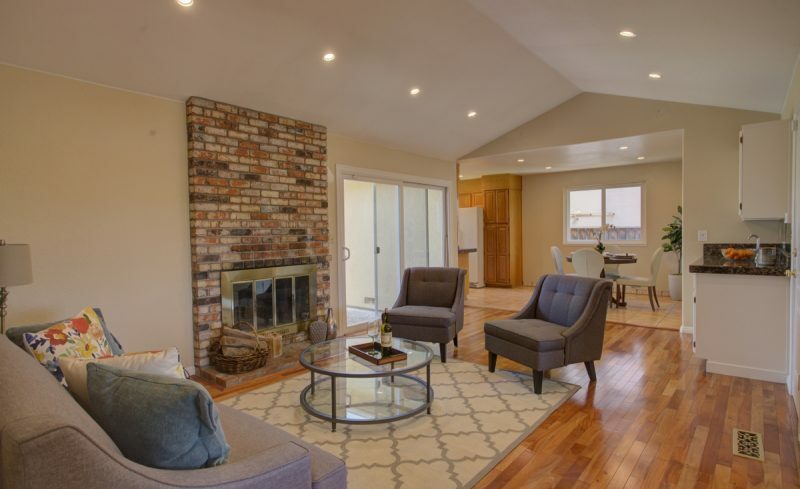 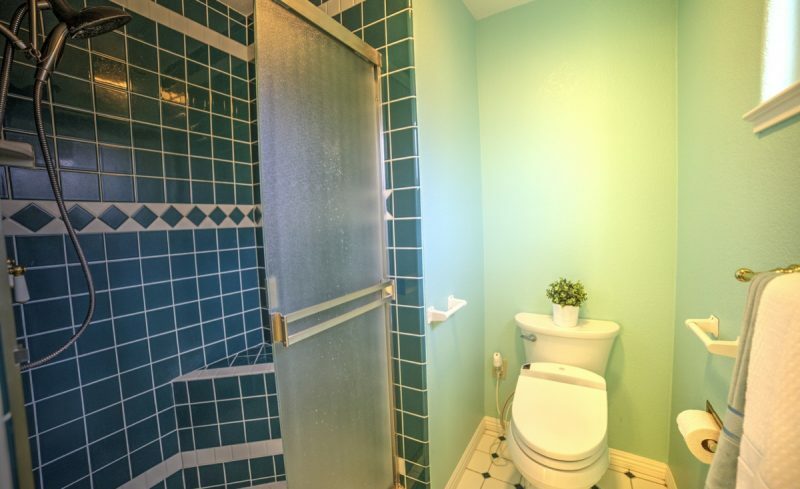 Other features include finished 2 car garage with storage closets, central heating & AC, copper plumbing, Milgard dual pane windows, wet bar, rich Brazilian Cherrywood hardwood floors, raised 2-panel doors, recessed LED lighting, & a variety of fruit trees.